Egypt is a land of great mysteries. With a rich cultural background and a colorful history, there is a lot to know about Egypt! 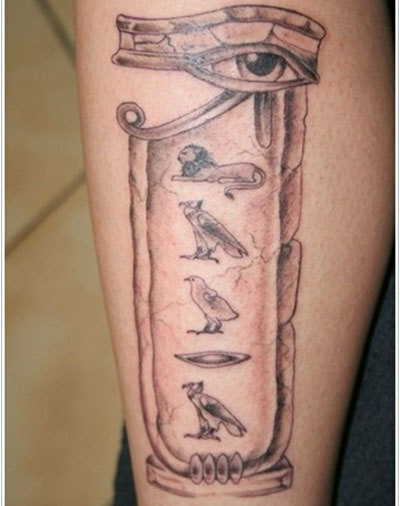 Egyptian tattoos generally incorporate beautiful Egyptian symbols and hieroglyphs. Pyramids, mummies, The Sphinx and The Statue of Anubis are a few of the beautiful artefacts and monuments of ancient Egypt that are often seen inked on the skin of fanatics. The same enigma that engulfs Egypt surrounds these symbols and thus makes them very popular. 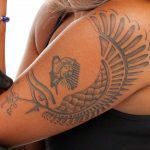 Moreover, most of the Egyptian tattoos turn out to be cool and funky to look at, the result being most people getting them without knowing their true meaning! 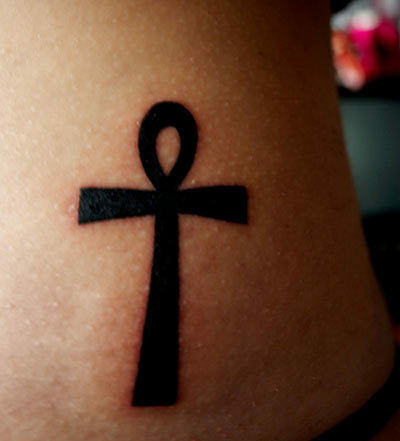 The ankh is a symbol that represents the key of life. Since the major lifeline of the Egyptian civilization was the Nile, it is also used to symbolize the river. It is an awesome tattoo design that can be inked on any part of your body. It is very beautiful to look at. The Udjat symbolizes healing and protection. It features a beautiful eye. 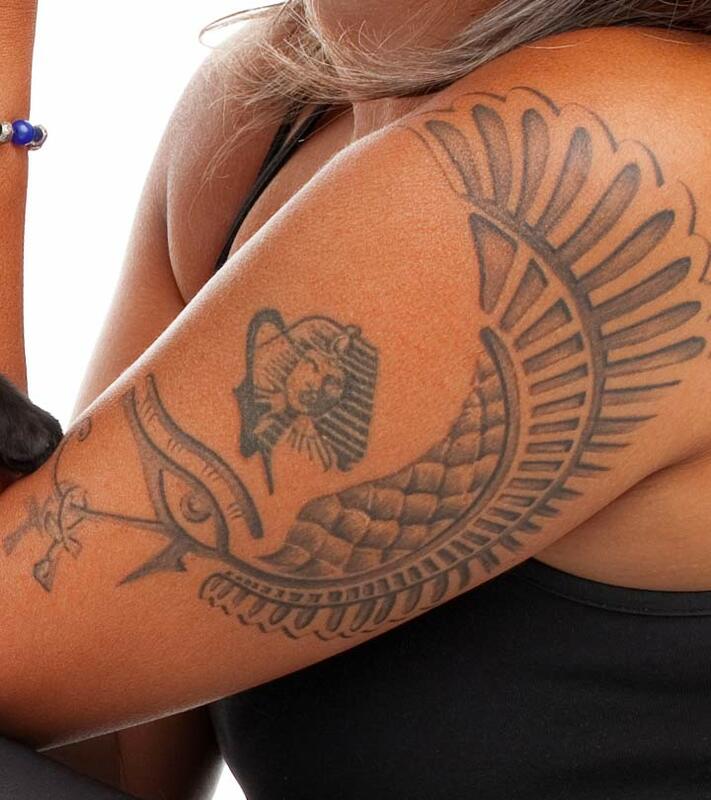 This is another common Egyptian tattoo which looks great on women. 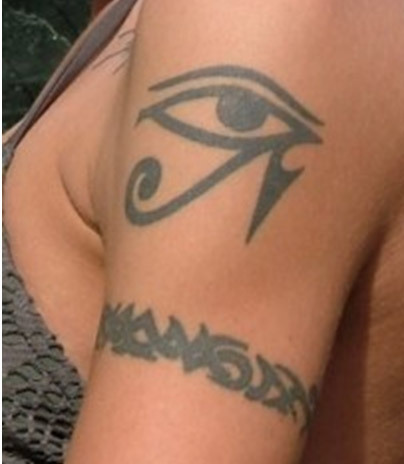 It is also called the eye of Horus. According to myth, Horus was a god whose eye was destroyed by the evil god Set. It was reconstructed later by Thoth. The eye represents power, wisdom, prosperity and protection. It is also known as the eye of Ra. The Shen symbolizes infinity. 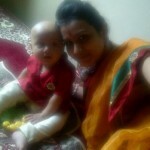 Its symbol is a loop which has neither a beginning nor an end. It is often combined with other symbols to express different meanings. Hieroglyphs are symbols that represent the characters of the Egyptian language. They are not easy to read but beautiful to look at. 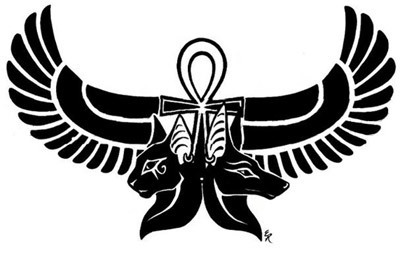 They are a common form of Egyptian symbol tattoos. The pharaohs were the kings of ancient Egypt. When they were mummified, their mummies were gilded and had a common face. The pharaohs form a major part of Egyptian paintings and art. Pharaoh masks are commonly worn by many. These tattoos look best when they are made big. Egyptian gods are not as numerous as the Hindu lords but there are still plenty! Of these, the most powerful and the oldest god is Ra who is supposed to be the sun god. You can customize these tattoos to express what you want to convey. These tattoos are colourful, complex and very deep. Cats were given an extremely important status in ancient Egypt. The cat symbolizes fertility and motherhood. According to Egyptian mythology, Bes, the goddess of cats, defeated the evil snake Agep and relieved the Egyptians of their troubles. Though this is a very uncommon tattoo, it is quite popular! The Sphinx is a beautiful statue that was carved from a single mass of stone. It has the face of a man and the body of a lion. Its sole purpose is to protect the pyramids. 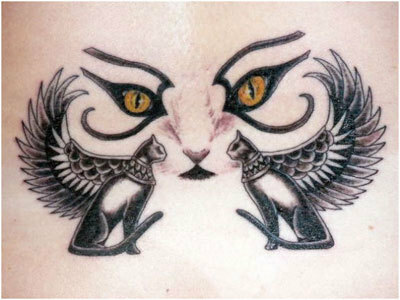 The Sphinx tattoo is difficult to create but very beautiful to look at. 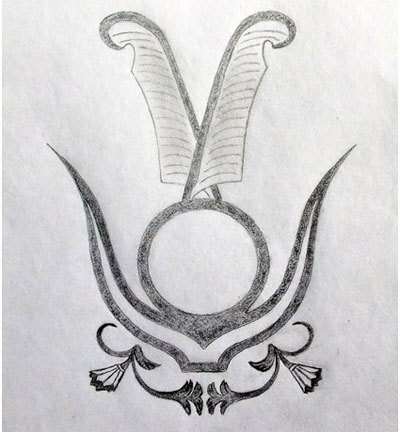 The scarab beetle is often inked with the ankh or the eye of Horus. 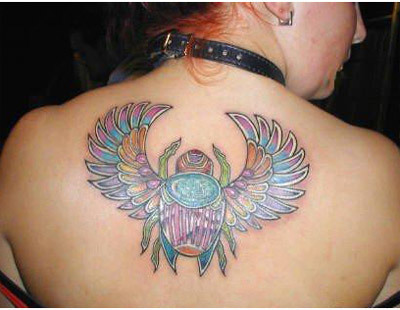 Its wings are often added to other tattoo designs to symbolize different meanings. 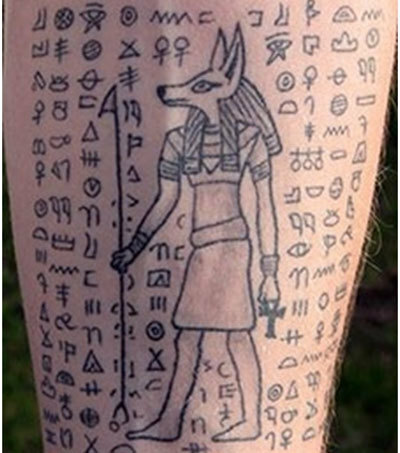 Anubis, the god of the dead, is also a very common Egyptian tattoo. It has a catlike face and is black in colour. 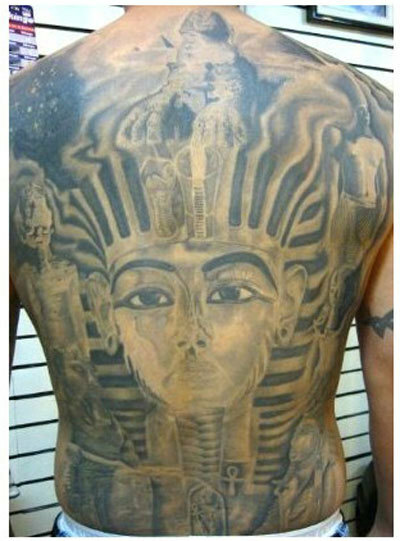 Hope you found this article on Egyptian tattoos interesting! 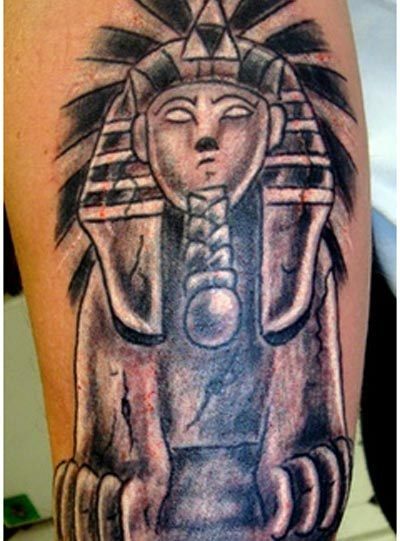 If you love ancient history, you should surely go for this kind of tattoos! Which one would you like to have? You can comment in the box below.